Mike Napoli - 1B CLE Fanduel: 3600 Draftkings: 4200 - Napoli will be seeing Pat Dean at Progressive Field (Cleveland, Ohio). Dean has an ERA against righties of 5.92 with a wOBA of 0.409. Additionally, he isn't doing well on the road. His ERA on the road is 6.56 and his wOBA is 0.401. Napoli at home is incredible. His ISO is 0.319 and has a wOBA of 0.434. Napoli hits lefties in a big way, with an ISO of 0.231 and has a wOBA of 0.378. This guy should get some good fantasy points. Following a 3 hit game yesterday, David Ortiz - 1B BOS Fanduel: 4200 Draftkings: 4900 - Ortiz will face Drew Smyly at Fenway Park (Boston, Massachusetts) which ranks number 5 in runs scored. The over under on this game is huge, at 9.5, so expect some runs to be scored. Smyly has an ERA against lefties of 6.75 with a wOBA of 0.315. In addition, he is really struggling on the road. His ERA on the road is 5.38 and his wOBA is 0.353. During his career, Ortiz has faced Drew Smyly 14 times with a slugging percentage of 0.643 with 1 homeruns. Ortiz at home is incredible. His ISO is 0.360 and has a wOBA of 0.464. Ortiz hits lefties in a big way, with an ISO of 0.173 and has a wOBA of 0.377. Hanley Ramirez - 1B BOS Fanduel: 3500 Draftkings: 4600 - Ramirez will battle Drew Smyly at Fenway Park (Boston, Massachusetts) which ranks number 5 in runs scored. This game is showing a high Over under of 9.5, so I think you should expect a lot of fantasy points being scored. Smyly has an ERA against righties of 4.33 with a wOBA of 0.317. Also he has been playing poorly on the road. His ERA on the road is 5.38 and his wOBA is 0.353. During the past week Ramirez has scored 12.9 Fanduel fantasy points while his season average is 11. He has a batting average of 0.348 and a slugging percentage of 0.652 over that time. He also has hit 2 homeruns. Ramirez at home is awesome and his ISO is 0.205 and has a wOBA of 0.359. Ramirez hits lefties in a big way, with an ISO of 0.303 and has a wOBA of 0.446. He has a great matchup today. Carlos Santana - 1B CLE Fanduel: 3600 Draftkings: 4100 - Santana will battle Pat Dean at Progressive Field (Cleveland, Ohio). Dean has an ERA against switch hitters of 5.92 with a wOBA of 0.409. He really isn't doing well on the road. His ERA on the road is 6.56 and his wOBA is 0.401. Santana at home crushes it. He has an ISO of 0.219 and has a wOBA of 0.34. Following a 3 hit performance yesterday, Ryan Zimmerman - 1B WAS Fanduel: 3100 Draftkings: 4200 - Zimmerman is facing Adam Morgan at Citizens Bank Park (Philadelphia, Pennsylvania). Morgan has an ERA against righties of 7.44 with a wOBA of 0.412. He's playing poorly big time at home. His ERA at home is 6.07 and his wOBA is 0.384. Jose Altuve - 2B HOU Fanduel: 4100 Draftkings: 5000 - Altuve goes against Ross Detwiler at Minute Maid Park (Houston, Texas). Detwiler has an ERA against righties of 7.32 with a wOBA of 0.369. In addition, he is really struggling on the road. His ERA on the road is 8.59 and his wOBA is 0.405. Altuve at home is money. His ISO is 0.216 and has a wOBA of 0.363. Altuve hits lefties in a big way, with an ISO of 0.221 and has a wOBA of 0.431. Dustin Pedroia - 2B BOS Fanduel: 3400 Draftkings: 4600 - Pedroia will battle Drew Smyly at Fenway Park (Boston, Massachusetts) which ranks number 5 in runs scored. This game has a high over under of 9.5, so expect a lot of runs to happen! Smyly has an ERA against righties of 4.33 with a wOBA of 0.317. Additionally, he isn't doing well on the road. His ERA on the road is 5.38 and his wOBA is 0.353. During their career, Pedroia has faced Drew Smyly 16 times with a slugging percentage of 0.125. Pedroia has scored 18.5 Fanduel fantasy points while his season average is 10.9. He has a batting average of 0.700 and a slugging percentage of 0.750 over that time. Pedroia at home crushes it. He has an ISO of 0.147 and has a wOBA of 0.387. Pedroia hits lefties extremely hard. His ISO is 0.103 and has a wOBA of 0.351. You need to get him in your lineups today. Joe Panik - 2B SFG Fanduel: 2700 Draftkings: 3500 - Panik will be pitted against Shelby Miller at AT&T Park (San Francisco, California). Miller has an ERA against lefties of 7.75 with a wOBA of 0.426. Also he has not done well on the road. His ERA on the road is 6.59 and his wOBA is 0.366. Throughout both of their careers, Panik has faced Shelby Miller 7 times with a slugging percentage of 0.714 with 1 homeruns. During the prior 7 days Panik has scored 20.9 Fanduel fantasy points while his season average is 10.1. He has a batting average of 0.353 and a slugging percentage of 1.000 over that time. He also has hit 3 homeruns. Panik at home is incredible. His ISO is 0.146 and has a wOBA of 0.331. Panik hits righties in a big way, with an ISO of 0.184 and has a wOBA of 0.325. 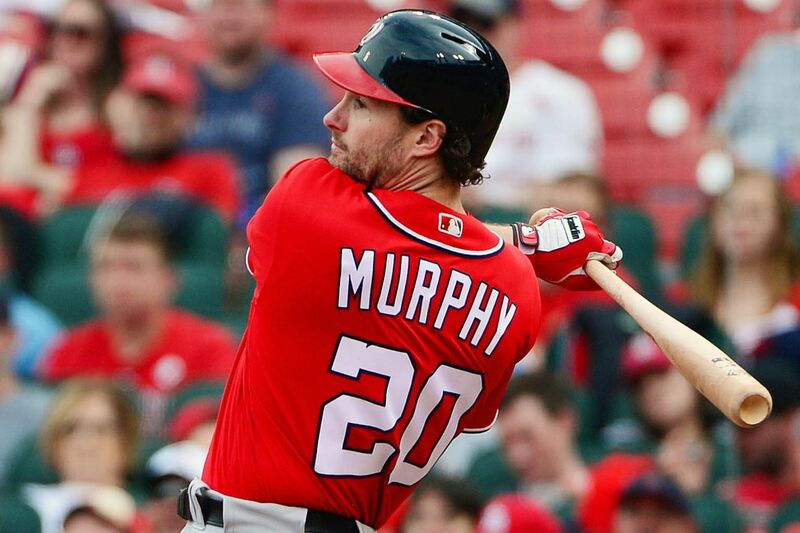 After a 3 hit game yesterday, Daniel Murphy - 2B WAS Fanduel: 4100 Draftkings: 5300 - Murphy will be facing Adam Morgan at Citizens Bank Park (Philadelphia, Pennsylvania). Morgan has an ERA against lefties of 3.38 with a wOBA of 0.335. He's playing poorly big time at home. His ERA at home is 6.07 and his wOBA is 0.384. Over the last 7 days Murphy has scored 14.9 Fanduel fantasy points while his season average is 12.8. He has a batting average of 0.345 and a slugging percentage of 0.621 over that time. He also has hit 2 homeruns. Murphy on the road is awesome and his ISO is 0.284 and has a wOBA of 0.425. Murphy hits lefties extremely hard. His ISO is 0.229 and has a wOBA of 0.385. Travis Shaw - 3B BOS Fanduel: 2600 Draftkings: 2900 - Shaw is facing Drew Smyly at Fenway Park (Boston, Massachusetts) which ranks number 5 in runs scored. The over under on this game is huge, at 9.5,Smyly has an ERA against lefties of 6.75 with a wOBA of 0.315. Also he isn't getting it done on the road. His ERA on the road is 5.38 and his wOBA is 0.353. When they have faced eachother, Shaw has faced Drew Smyly 9 times with a slugging percentage of 0.222. Shaw at home is money. His ISO is 0.205 and has a wOBA of 0.347. Jonathan Villar - 3B MIL Fanduel: 3900 Draftkings: 5200 - Villar will face Luke Weaver at Miller Park (Milwaukee, Wisconsin). Weaver has an ERA against switch hitters of 3.00 with a wOBA of 0.422. His ERA on the road is 5 and his wOBA is 0.411. Villar at home0.123 and has a wOBA of 0.337. Villar hits righties extremely hard. His ISO is 0.126 and has a wOBA of 0.341. Signs are pointing up for him today. Following a 4 hit performance yesterday, Anthony Rendon - 3B WAS Fanduel: 3600 Draftkings: 5100 - Rendon will face Adam Morgan at Citizens Bank Park (Philadelphia, Pennsylvania). Morgan has an ERA against righties of 7.44 with a wOBA of 0.412. In addition he really has been pretty weak at home. His ERA at home is 6.07 and his wOBA is 0.384. Rendon on the road is money. His ISO is 0.187 and has a wOBA of 0.352. Rendon hits lefties big time, to the tune of an ISO of 0.157 and has a wOBA of 0.374. 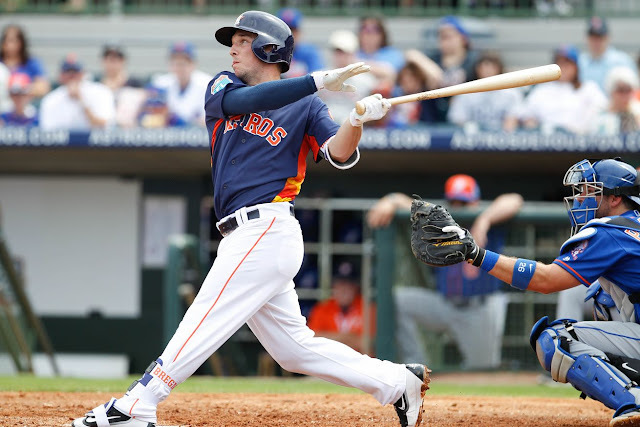 Alex Bregman - 3B HOU Fanduel: 3500 Draftkings: 4700 - Bregman faces Ross Detwiler at Minute Maid Park (Houston, Texas). Detwiler has an ERA against righties of 7.32 with a wOBA of 0.369. Also he has not done well on the road. His ERA on the road is 8.59 and his wOBA is 0.405. Bregman has scored 13.2 Fanduel fantasy points while his season average is 10.4. He has a batting average of 0.304 and a slugging percentage of 0.478 over that time. Bregman hits lefties extremely hard. His ISO is 0.243 and has a wOBA of 0.354. Josh Donaldson - 3B TOR Fanduel: 4600 Draftkings: 5500 - Donaldson will be facing Yovani Gallardo at Oriole Park at Camden Yards (Baltimore, Maryland). This game is showing a high Over under of 9.5, so get ready for a lot of runs. Gallardo has an ERA against righties of 4.56 with a wOBA of 0.347. His ERA at home is 3.69 and his wOBA is 0.337. 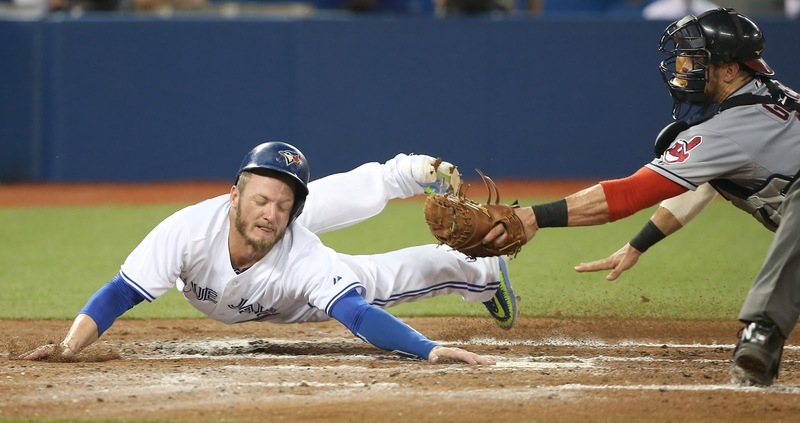 When they have faced eachother, Donaldson has faced Yovani Gallardo 13 times with a slugging percentage of 0.462. During the prior 7 days Donaldson has scored 23.8 Fanduel fantasy points while his season average is 14.1. He has a batting average of 0.370 and a slugging percentage of 1.037 over that time. He also has hit 6 homeruns. Donaldson on the road0.275 and has a wOBA of 0.403. Donaldson hits righties extremely hard. His ISO is 0.292 and has a wOBA of 0.410. Francisco Lindor - SS CLE Fanduel: 3500 Draftkings: 4200 - Lindor squares off verse Pat Dean at Progressive Field (Cleveland, Ohio). Dean has an ERA against switch hitters of 5.92 with a wOBA of 0.409. In addition, he is really struggling on the road. His ERA on the road is 6.56 and his wOBA is 0.401. Lindor at home crushes it. He has an ISO of 0.161 and has a wOBA of 0.385. Lindor hits lefties very hard. His ISO is 0.111 and has a wOBA of 0.325. Danny Espinosa - SS WAS Fanduel: 3100 Draftkings: 4500 - Espinosa will go against Adam Morgan at Citizens Bank Park (Philadelphia, Pennsylvania). Morgan has an ERA against switch hitters of 7.44 with a wOBA of 0.412. Also he isn't getting it done at home. His ERA at home is 6.07 and his wOBA is 0.384. Espinosa has scored 9.2 Fanduel fantasy points while his season average is 8.9. He has a batting average of 0.375 and a slugging percentage of 0.542 over that time. Carlos Correa - SS HOU Fanduel: 4100 Draftkings: 4400 - Correa is facing Ross Detwiler at Minute Maid Park (Houston, Texas). Detwiler has an ERA against righties of 7.32 with a wOBA of 0.369. In addition he really has been pretty weak on the road. His ERA on the road is 8.59 and his wOBA is 0.405. Correa at home is money. His ISO is 0.180 and has a wOBA of 0.348. Correa hits lefties in a big way, with an ISO of 0.144 and has a wOBA of 0.327. Corey Seager - SS LOS Fanduel: 4300 Draftkings: 5500 - Seager is facing Jeff Hoffman at Coors Field (Denver, Colorado) which ranks number 1 in runs scored and number 2 in home runs allowed. Hoffman has an ERA against lefties of 9.00 with a wOBA of 0.420. Also he has not done well at home. His ERA at home is 13.5 and his wOBA is 0.416. Seager on the road0.178 and has a wOBA of 0.38. Seager hits righties big time, to the tune of an ISO of 0.229 and has a wOBA of 0.403. His matchup it too much to overlook. Brandon Crawford - SS SFG Fanduel: 2800 Draftkings: 3100 - Crawford will be pitted against Shelby Miller at AT&T Park (San Francisco, California). Miller has an ERA against lefties of 7.75 with a wOBA of 0.426. Additionally, he isn't doing well on the road. His ERA on the road is 6.59 and his wOBA is 0.366. Throughout his career, Crawford has faced Shelby Miller 16 times with a slugging percentage of 0.312. During the last week of games, Crawford has scored 11.4 Fanduel fantasy points while his season average is 9.7. He has a batting average of 0.333 and a slugging percentage of 0.625 over that time. Crawford at home is awesome and his ISO is 0.170 and has a wOBA of 0.342. Crawford hits righties in a big way, with an ISO of 0.197 and has a wOBA of 0.338. Sandy Leon - C BOS Fanduel: 2600 Draftkings: 3300 - Leon is taking on Drew Smyly at Fenway Park (Boston, Massachusetts) which ranks number 5 in runs scored. This could be a shoot out with an over under of 9.5,Smyly has an ERA against switch hitters of 4.33 with a wOBA of 0.317. Also he isn't getting it done on the road. His ERA on the road is 5.38 and his wOBA is 0.353. Leon at home is incredible. His ISO is 0.200 and has a wOBA of 0.416. Leon hits lefties big time, to the tune of an ISO of 0.302 and has a wOBA of 0.493. You need to get him in your lineups today. Mike Zunino - C SEA Fanduel: 2400 Draftkings: 3600 - Zunino is going against Martin Perez at Globe Life Park in Arlington (Arlington, Texas) which ranks number 7 in runs scored. Perez has an ERA against righties of 5.15 with a wOBA of 0.343. His ERA at home is 2.84 and his wOBA is 0.307. Zunino hits lefties extremely hard. His ISO is 0.292 and has a wOBA of 0.366. Evan Gattis - C HOU Fanduel: 3300 Draftkings: 5000 - Gattis squares off verse Ross Detwiler at Minute Maid Park (Houston, Texas). Detwiler has an ERA against righties of 7.32 with a wOBA of 0.369. Additionally, he isn't doing well on the road. His ERA on the road is 8.59 and his wOBA is 0.405. During the past week Gattis has scored 18.2 Fanduel fantasy points while his season average is 9.4. He has a batting average of 0.375 and a slugging percentage of 1.000 over that time. He also has hit 3 homeruns. Gattis at home is money. His ISO is 0.272 and has a wOBA of 0.323. Gattis hits lefties extremely hard. His ISO is 0.278 and has a wOBA of 0.367. Look for a big game. Tyler Flowers - C ATL Fanduel: 2800 Draftkings: 3800 - Flowers is facing Paul Clemens at Turner Field (Atlanta, Georgia). Clemens has an ERA against righties of 6.93 with a wOBA of 0.414. His ERA on the road is 3.95 and his wOBA is 0.342. Throughout the last 7 days Flowers has scored 12.4 Fanduel fantasy points while his season average is 8.3. He has a batting average of 0.417 and a slugging percentage of 0.583 over that time. Flowers at home is great! His ISO is 0.160 and has a wOBA of 0.362. Flowers hits righties very hard. His ISO is 0.176 and has a wOBA of 0.354. Jonathan Lucroy - C TEX Fanduel: 3400 Draftkings: 4100 - Lucroy will be battling Felix Hernandez at Globe Life Park in Arlington (Arlington, Texas) which ranks number 7 in runs scored. Hernandez has an ERA against righties of 3.57 with a wOBA of 0.296. His ERA on the road is 3.06 and his wOBA is 0.323. Lucroy at home is money. His ISO is 0.274 and has a wOBA of 0.408. Lucroy hits righties very hard. His ISO is 0.196 and has a wOBA of 0.375. Signs are pointing up for him today. Trea Turner - OF WAS Fanduel: 4100 Draftkings: 5100 - Turner is facing Adam Morgan at Citizens Bank Park (Philadelphia, Pennsylvania). Morgan has an ERA against righties of 7.44 with a wOBA of 0.412. Also he has been playing poorly at home. His ERA at home is 6.07 and his wOBA is 0.384. Turner on the road0.178 and has a wOBA of 0.367. This guy should crush it today if he is starting. Mookie Betts - OF BOS Fanduel: 4400 Draftkings: 5000 - Betts goes against Drew Smyly at Fenway Park (Boston, Massachusetts) which ranks number 5 in runs scored. There's a high over under on this game, 9.5, so expect a lot of runs to be scored. Smyly has an ERA against righties of 4.33 with a wOBA of 0.317. In addition he really has been pretty weak on the road. His ERA on the road is 5.38 and his wOBA is 0.353. When they have faced eachother, Betts has faced Drew Smyly 15 times with a slugging percentage of 0.600 with 1 homeruns. During the past week Betts has scored 15.2 Fanduel fantasy points while his season average is 14.3. He has a batting average of 0.464 and a slugging percentage of 0.714 over that time. He also has hit 2 homeruns. Betts at home0.284 and has a wOBA of 0.417. Betts hits lefties extremely hard. His ISO is 0.270 and has a wOBA of 0.35. He has a nice matchup today. Rajai Davis - OF CLE Fanduel: 3300 Draftkings: 4500 - Davis squares off verse Pat Dean at Progressive Field (Cleveland, Ohio). Dean has an ERA against righties of 5.92 with a wOBA of 0.409. on the road. His ERA on the road is 6.56 and his wOBA is 0.401. George Springer - OF HOU Fanduel: 4000 Draftkings: 5000 - Springer will be pitted against Ross Detwiler at Minute Maid Park (Houston, Texas). Detwiler has an ERA against righties of 7.32 with a wOBA of 0.369. Additionally, he isn't doing well on the road. His ERA on the road is 8.59 and his wOBA is 0.405. Springer at home is awesome and his ISO is 0.181 and has a wOBA of 0.353. Springer hits lefties big time, to the tune of an ISO of 0.295 and has a wOBA of 0.421. Abraham Almonte - OF CLE Fanduel: 2500 Draftkings: 3800 - Almonte goes against Pat Dean at Progressive Field (Cleveland, Ohio). Dean has an ERA against switch hitters of 5.92 with a wOBA of 0.409. He's playing poorly big time on the road. His ERA on the road is 6.56 and his wOBA is 0.401. Through the last seven days, Almonte has scored 9 Fanduel fantasy points while his season average is 7. He has a batting average of 0.304 and a slugging percentage of 0.435 over that time. Almonte at home is incredible. His ISO is 0.139 and has a wOBA of 0.32. Almonte hits lefties very hard. His ISO is 0.200 and has a wOBA of 0.327. Brandon Guyer - OF CLE Fanduel: 2900 Draftkings: 4300 - Guyer will be seeing Pat Dean at Progressive Field (Cleveland, Ohio). Dean has an ERA against righties of 5.92 with a wOBA of 0.409. He's playing poorly big time on the road. His ERA on the road is 6.56 and his wOBA is 0.401. Guyer at home0.222 and has a wOBA of 0.379. Guyer hits lefties extremely hard. His ISO is 0.224 and has a wOBA of 0.44. His matchup it too much to overlook. Domingo Santana - OF MIL Fanduel: 2100 Draftkings: 3600 - Santana faces Luke Weaver at Miller Park (Milwaukee, Wisconsin). Weaver has an ERA against righties of 4.00 with a wOBA of 0.320. His ERA on the road is 5 and his wOBA is 0.411. Santana at home0.129 and has a wOBA of 0.324. Miguel Cabrera - 1B DET Fanduel: 4200 Draftkings: 5300 - Cabrera will go against Anthony Ranaudo at Comerica Park (Detroit, Michigan). There over under on this game is pretty big at 10,Ranaudo has an ERA against righties of 12.27 with a wOBA of 0.402. on the road. His ERA on the road is 6.92 and his wOBA is 0.381. During the last week of games, Cabrera has scored 12.3 Fanduel fantasy points while his season average is 11.5. He has a batting average of 0.400 and a slugging percentage of 0.680 over that time. Cabrera at home is awesome and his ISO is 0.269 and has a wOBA of 0.41. Cabrera hits righties big time, to the tune of an ISO of 0.253 and has a wOBA of 0.394. Brandon Moss - 1B STL Fanduel: 3700 Draftkings: 4500 - Moss squares off verse Wily Peralta at Miller Park (Milwaukee, Wisconsin). Peralta has an ERA against lefties of 5.40 with a wOBA of 0.393. He really isn't doing well at home. His ERA at home is 6.1 and his wOBA is 0.397. Through the last seven days, Moss has scored 11.6 Fanduel fantasy points while his season average is 10.5. He has a batting average of 0.286 and a slugging percentage of 0.500 over that time. He also has hit 2 homeruns. Moss on the road is great! His ISO is 0.325 and has a wOBA of 0.404. Moss hits righties extremely hard. His ISO is 0.357 and has a wOBA of 0.392. Hanley Ramirez - 1B BOS Fanduel: 3300 Draftkings: 3800 - Ramirez will be taking on Jake Odorizzi at Fenway Park (Boston, Massachusetts) which ranks number 5 in runs scored. Odorizzi has an ERA against righties of 4.68 with a wOBA of 0.339. His ERA on the road is 4.34 and his wOBA is 0.330. Throughout his career, Ramirez has faced Jake Odorizzi 7 times with a slugging percentage of 0.429. Ramirez at home is money. His ISO is 0.205 and has a wOBA of 0.359. Freddie Freeman - 1B ATL Fanduel: 3900 Draftkings: 4800 - Freeman goes against Edwin Jackson at Turner Field (Atlanta, Georgia). Jackson has an ERA against lefties of 4.88 with a wOBA of 0.343. He's playing poorly big time on the road. His ERA on the road is 6.27 and his wOBA is 0.365. During their career, Freeman has faced Edwin Jackson 17 times with a slugging percentage of 0.941 with 2 homeruns. Freeman at home is money. His ISO is 0.212 and has a wOBA of 0.354. Freeman hits righties very hard. His ISO is 0.288 and has a wOBA of 0.394. Really try to get him into your lineups. Mitch Moreland - 1B TEX Fanduel: 2900 Draftkings: 3200 - Moreland will face James Paxton at Globe Life Park in Arlington (Arlington, Texas) which ranks number 7 in runs scored. Paxton has an ERA against lefties of 2.12 with a wOBA of 0.311. His ERA on the road is 4.04 and his wOBA is 0.322. Moreland at home is incredible. His ISO is 0.295 and has a wOBA of 0.373. Moreland hits lefties in a big way, with an ISO of 0.220 and has a wOBA of 0.329. Dustin Pedroia - 2B BOS Fanduel: 3400 Draftkings: 4400 - Pedroia will face Jake Odorizzi at Fenway Park (Boston, Massachusetts) which ranks number 5 in runs scored. Odorizzi has an ERA against righties of 4.68 with a wOBA of 0.339. His ERA on the road is 4.34 and his wOBA is 0.330. During his career, Pedroia has faced Jake Odorizzi 22 times with a slugging percentage of 0.591 with 1 homeruns. Through the last seven days, Pedroia has scored 17.9 Fanduel fantasy points while his season average is 11. He has a batting average of 0.667 and a slugging percentage of 0.762 over that time. Pedroia at home crushes it. He has an ISO of 0.147 and has a wOBA of 0.387. Pedroia hits righties big time, to the tune of an ISO of 0.144 and has a wOBA of 0.367. He should score some big points for you today if he is starting. Ian Kinsler - 2B DET Fanduel: 4100 Draftkings: 3900 - Kinsler will be facing Anthony Ranaudo at Comerica Park (Detroit, Michigan). This game is showing a high Over under of 10, so expect a high scoring game. Ranaudo has an ERA against righties of 12.27 with a wOBA of 0.402. on the road. His ERA on the road is 6.92 and his wOBA is 0.381. Kinsler at home crushes it. He has an ISO of 0.162 and has a wOBA of 0.337. Kinsler hits righties extremely hard. His ISO is 0.176 and has a wOBA of 0.329. Matt Carpenter - 2B STL Fanduel: 4300 Draftkings: 5000 - Carpenter will face Wily Peralta at Miller Park (Milwaukee, Wisconsin). Peralta has an ERA against lefties of 5.40 with a wOBA of 0.393. Additionally, he isn't doing well at home. His ERA at home is 6.1 and his wOBA is 0.397. Carpenter on the road crushes it. He has an ISO of 0.301 and has a wOBA of 0.4. Carpenter hits righties in a big way, with an ISO of 0.296 and has a wOBA of 0.412. He has a great matchup today. Jose Altuve - 2B HOU Fanduel: 3900 Draftkings: 5200 - Altuve will battle Kendall Graveman at Minute Maid Park (Houston, Texas). Graveman has an ERA against righties of 4.28 with a wOBA of 0.299. His ERA on the road is 4.98 and his wOBA is 0.344. Altuve at home is awesome and his ISO is 0.216 and has a wOBA of 0.363. Altuve hits righties in a big way, with an ISO of 0.212 and has a wOBA of 0.404. Really try to get him into your lineups. Rougned Odor - 2B TEX Fanduel: 3400 Draftkings: 3800 - Odor will face James Paxton at Globe Life Park in Arlington (Arlington, Texas) which ranks number 7 in runs scored. Paxton has an ERA against lefties of 2.12 with a wOBA of 0.311. His ERA on the road is 4.04 and his wOBA is 0.322. Odor at home is incredible. His ISO is 0.219 and has a wOBA of 0.334. Josh Donaldson - 3B TOR Fanduel: 4400 Draftkings: 5400 - Donaldson will battle Ubaldo Jimenez at Oriole Park at Camden Yards (Baltimore, Maryland). This game is showing a high Over under of 10,Jimenez has an ERA against righties of 6.40 with a wOBA of 0.340. He's playing poorly big time at home. His ERA at home is 6.67 and his wOBA is 0.374. Throughout both of their careers, Donaldson has faced Ubaldo Jimenez 23 times with a slugging percentage of 0.478 with 1 homeruns. During the past week Donaldson has scored 25.1 Fanduel fantasy points while his season average is 14.2. He has a batting average of 0.385 and a slugging percentage of 1.077 over that time. He also has hit 6 homeruns. Donaldson on the road is awesome and his ISO is 0.275 and has a wOBA of 0.403. Donaldson hits righties big time, to the tune of an ISO of 0.292 and has a wOBA of 0.41. Adrian Beltre - 3B TEX Fanduel: 3200 Draftkings: 4700 - Beltre faces James Paxton at Globe Life Park in Arlington (Arlington, Texas) which ranks number 7 in runs scored. Paxton has an ERA against righties of 4.00 with a wOBA of 0.310. His ERA on the road is 4.04 and his wOBA is 0.322. During the prior 7 days Beltre has scored 12.1 Fanduel fantasy points while his season average is 10.7. He has a batting average of 0.217 and a slugging percentage of 0.565 over that time. He also has hit 2 homeruns. Beltre at home0.181 and has a wOBA of 0.37. Beltre hits lefties extremely hard. His ISO is 0.243 and has a wOBA of 0.403. Jedd Gyorko - 3B STL Fanduel: 3200 Draftkings: 4300 - Gyorko will battle Wily Peralta at Miller Park (Milwaukee, Wisconsin). Peralta has an ERA against righties of 6.31 with a wOBA of 0.402. Also he has been playing poorly at home. His ERA at home is 6.1 and his wOBA is 0.397. Through the last seven days, Gyorko has scored 12.9 Fanduel fantasy points while his season average is 8.7. He has a batting average of 0.276 and a slugging percentage of 0.586 over that time. He also has hit 3 homeruns. Gyorko on the road is awesome and his ISO is 0.287 and has a wOBA of 0.352. Gyorko hits righties big time, to the tune of an ISO of 0.335 and has a wOBA of 0.373. Really try to get him into your lineups. Travis Shaw - 3B BOS Fanduel: 2600 Draftkings: 3200 - Shaw faces Jake Odorizzi at Fenway Park (Boston, Massachusetts) which ranks number 5 in runs scored. Odorizzi has an ERA against lefties of 2.15 with a wOBA of 0.254. His ERA on the road is 4.34 and his wOBA is 0.330. During their career, Shaw has faced Jake Odorizzi 10 times with a slugging percentage of 0.600. Shaw at home0.205 and has a wOBA of 0.347. Shaw hits righties in a big way, with an ISO of 0.182 and has a wOBA of 0.335. Jonathan Villar - 3B MIL Fanduel: 3700 Draftkings: 4600 - Villar will be battling Adam Wainwright at Miller Park (Milwaukee, Wisconsin). Wainwright has an ERA against switch hitters of 5.40 with a wOBA of 0.357. Also he has not done well on the road. His ERA on the road is 6.53 and his wOBA is 0.380. Villar at home0.123 and has a wOBA of 0.337. Villar hits righties in a big way, with an ISO of 0.126 and has a wOBA of 0.341. Elvis Andrus - SS TEX Fanduel: 2800 Draftkings: 4100 - Andrus will go against James Paxton at Globe Life Park in Arlington (Arlington, Texas) which ranks number 7 in runs scored. Paxton has an ERA against righties of 4.00 with a wOBA of 0.310. His ERA on the road is 4.04 and his wOBA is 0.322. Andrus at home0.131 and has a wOBA of 0.329. Andrus hits lefties very hard. His ISO is 0.151 and has a wOBA of 0.383. Following a 3 hit performance yesterday, Jhonny Peralta - SS STL Fanduel: 3000 Draftkings: 4000 - Peralta squares off verse Wily Peralta at Miller Park (Milwaukee, Wisconsin). Peralta has an ERA against righties of 6.31 with a wOBA of 0.402. Also he has been playing poorly at home. His ERA at home is 6.1 and his wOBA is 0.397. Peralta hits righties in a big way, with an ISO of 0.183 and has a wOBA of 0.32. Signs are pointing up for him today. Troy Tulowitzki - SS TOR Fanduel: 3200 Draftkings: 4400 - Tulowitzki goes against Ubaldo Jimenez at Oriole Park at Camden Yards (Baltimore, Maryland). There over under on this game is pretty big at 10, so expect a lot of runs to be scored. Jimenez has an ERA against righties of 6.40 with a wOBA of 0.340. He's playing poorly big time at home. His ERA at home is 6.67 and his wOBA is 0.374. Tulowitzki on the road crushes it. He has an ISO of 0.224 and has a wOBA of 0.349. Tulowitzki hits righties big time, to the tune of an ISO of 0.220 and has a wOBA of 0.333. Francisco Lindor - SS CLE Fanduel: 3400 Draftkings: 4200 - Lindor is taking on Andrew Albers at Progressive Field (Cleveland, Ohio). This game has a high over under of 9.5, so expect some runs to be scored. Albers has an ERA against switch hitters of 6.35 with a wOBA of 0.469. His ERA on the road is 3.86 and his wOBA is 0.223. Lindor at home is great! His ISO is 0.161 and has a wOBA of 0.385. Lindor hits lefties extremely hard. His ISO is 0.111 and has a wOBA of 0.325. Sandy Leon - C BOS Fanduel: 2500 Draftkings: 3400 - Leon goes against Jake Odorizzi at Fenway Park (Boston, Massachusetts) which ranks number 5 in runs scored. Odorizzi has an ERA against switch hitters of 2.15 with a wOBA of 0.254. His ERA on the road is 4.34 and his wOBA is 0.330. Leon at home crushes it. He has an ISO of 0.200 and has a wOBA of 0.416. Leon hits righties in a big way, with an ISO of 0.192 and has a wOBA of 0.376. If you see him starting, try to roster him. Jonathan Lucroy - C TEX Fanduel: 3400 Draftkings: 3500 - Lucroy will face James Paxton at Globe Life Park in Arlington (Arlington, Texas) which ranks number 7 in runs scored. Paxton has an ERA against righties of 4.00 with a wOBA of 0.310. His ERA on the road is 4.04 and his wOBA is 0.322. Lucroy at home is great! His ISO is 0.274 and has a wOBA of 0.408. Lucroy hits lefties in a big way, with an ISO of 0.252 and has a wOBA of 0.338. He should be in for a great game as long as he is starting. Mike Zunino - C SEA Fanduel: 2500 Draftkings: 2800 - Zunino will be battling Cole Hamels at Globe Life Park in Arlington (Arlington, Texas) which ranks number 7 in runs scored. Hamels has an ERA against righties of 2.86 with a wOBA of 0.308. His ERA at home is 3.62 and his wOBA is 0.337. Zunino hits lefties in a big way, with an ISO of 0.292 and has a wOBA of 0.366. James McCann - C DET Fanduel: 2700 Draftkings: 3500 - McCann faces Anthony Ranaudo at Comerica Park (Detroit, Michigan). This could be a shoot out with an over under of 10, so expect a lot of runs to happen! Ranaudo has an ERA against righties of 12.27 with a wOBA of 0.402. on the road. His ERA on the road is 6.92 and his wOBA is 0.381. During the last week of games, McCann has scored 10.6 Fanduel fantasy points while his season average is 7. He has a batting average of 0.333 and a slugging percentage of 0.611 over that time. Evan Gattis - C HOU Fanduel: 3400 Draftkings: 4100 - Gattis will face Kendall Graveman at Minute Maid Park (Houston, Texas). Graveman has an ERA against righties of 4.28 with a wOBA of 0.299. His ERA on the road is 4.98 and his wOBA is 0.344. During the last week of games, Gattis has scored 15 Fanduel fantasy points while his season average is 9.4. He has a batting average of 0.385 and a slugging percentage of 0.923 over that time. He also has hit 2 homeruns. Gattis at home is great! His ISO is 0.272 and has a wOBA of 0.323. This guy should crush it today if he is starting. 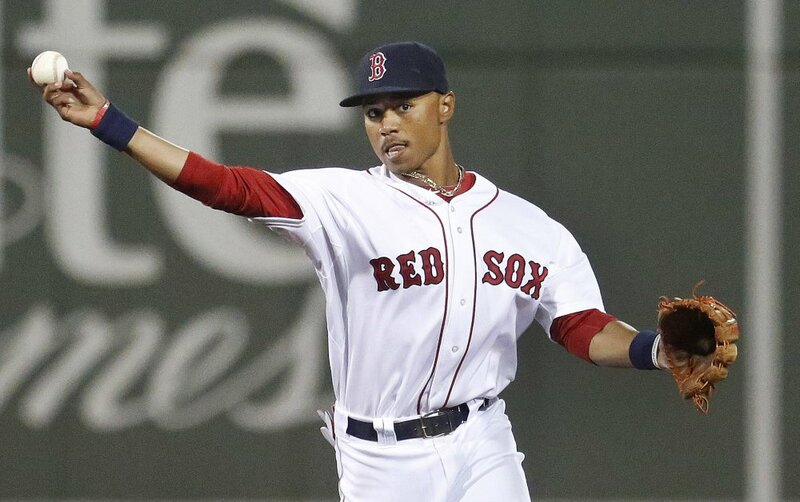 Mookie Betts - OF BOS Fanduel: 4200 Draftkings: 5300 - Betts will be taking on Jake Odorizzi at Fenway Park (Boston, Massachusetts) which ranks number 5 in runs scored. Odorizzi has an ERA against righties of 4.68 with a wOBA of 0.339. His ERA on the road is 4.34 and his wOBA is 0.330. When they have faced eachother, Betts has faced Jake Odorizzi 17 times with a slugging percentage of 0.353. Through the last seven days, Betts has scored 15.2 Fanduel fantasy points while his season average is 14.4. He has a batting average of 0.483 and a slugging percentage of 0.724 over that time. He also has hit 2 homeruns. Betts at home is awesome and his ISO is 0.284 and has a wOBA of 0.417. Betts hits righties in a big way, with an ISO of 0.238 and has a wOBA of 0.399. If you see him starting, try to roster him. J.D. Martinez - OF DET Fanduel: 3900 Draftkings: 4700 - Martinez goes against Anthony Ranaudo at Comerica Park (Detroit, Michigan). There's a high over under on this game, 10, so expect a lot of runs to happen! Ranaudo has an ERA against righties of 12.27 with a wOBA of 0.402. He really isn't doing well on the road. His ERA on the road is 6.92 and his wOBA is 0.381. Martinez at home is incredible. His ISO is 0.298 and has a wOBA of 0.449. Martinez hits righties in a big way, with an ISO of 0.237 and has a wOBA of 0.393. Stephen Piscotty - OF STL Fanduel: 3600 Draftkings: 4800 - Piscotty will be battling Wily Peralta at Miller Park (Milwaukee, Wisconsin). Peralta has an ERA against righties of 6.31 with a wOBA of 0.402. In addition he really has been pretty weak at home. His ERA at home is 6.1 and his wOBA is 0.397. Over the last 7 days Piscotty has scored 13.4 Fanduel fantasy points while his season average is 11.1. He has a batting average of 0.310 and a slugging percentage of 0.517 over that time. He also has hit 2 homeruns. Piscotty on the road0.182 and has a wOBA of 0.346. Piscotty hits righties extremely hard. His ISO is 0.164 and has a wOBA of 0.33. He has a great matchup today. Justin Upton - OF DET Fanduel: 3200 Draftkings: 4200 - Upton will be pitted against Anthony Ranaudo at Comerica Park (Detroit, Michigan). This game is showing a high Over under of 10, so I think you should expect a lot of fantasy points being scored. Ranaudo has an ERA against righties of 12.27 with a wOBA of 0.402. Also he isn't getting it done on the road. His ERA on the road is 6.92 and his wOBA is 0.381. Upton at home0.206 and has a wOBA of 0.331. This guy should crush it today if he is starting. Nick Markakis - OF ATL Fanduel: 2500 Draftkings: 4000 - Markakis is taking on Edwin Jackson at Turner Field (Atlanta, Georgia). Jackson has an ERA against lefties of 4.88 with a wOBA of 0.343. Also he has not done well on the road. His ERA on the road is 6.27 and his wOBA is 0.365. When they have faced eachother, Markakis has faced Edwin Jackson 22 times with a slugging percentage of 0.455. Markakis hits righties big time, to the tune of an ISO of 0.143 and has a wOBA of 0.329. Carlos Beltran - OF TEX Fanduel: 3400 Draftkings: 3600 - Beltran is facing James Paxton at Globe Life Park in Arlington (Arlington, Texas) which ranks number 7 in runs scored. Paxton has an ERA against switch hitters of 4.00 with a wOBA of 0.310. His ERA on the road is 4.04 and his wOBA is 0.322. Beltran at home is incredible. His ISO is 0.272 and has a wOBA of 0.386. Beltran hits lefties big time, to the tune of an ISO of 0.257 and has a wOBA of 0.411. Adam Duvall - OF CIN Fanduel: 3300 Draftkings: 4600 - Duvall faces Jered Weaver at Angel Stadium of Anaheim (Anaheim, California). This could be a shoot out with an over under of 9.5, so expect a high scoring game. Weaver has an ERA against righties of 5.29 with a wOBA of 0.377. He really isn't doing well at home. His ERA at home is 5.45 and his wOBA is 0.375. Duvall on the road is money. His ISO is 0.268 and has a wOBA of 0.349. Duvall hits righties very hard. His ISO is 0.286 and has a wOBA of 0.349. Joey Votto - 1B CIN Fanduel: 3600 Draftkings: 5500 - Votto will be taking on Braden Shipley at Chase Field (Phoenix, Arizona) which ranks number 2 in runs scored and number 7 in home runs allowed. 10, so expect a lot of runs to be scored. Shipley has an ERA against lefties of 4.50 with a wOBA of 0.362. Also he has not done well at home. His ERA at home is 6.55 and his wOBA is 0.431. Votto on the road is awesome and his ISO is 0.191 and has a wOBA of 0.404. Votto hits righties extremely hard. His ISO is 0.241 and has a wOBA of 0.42. Signs are pointing up for him today. Edwin Encarnacion - 1B TOR Fanduel: 4300 Draftkings: 5000 - Encarnacionwill go against Pat Dean at Rogers Centre (Toronto, Ontario) which ranks number 9 in runs scored and number 3 in home runs allowed. There's a high over under on this game, 10, so get ready for a lot of runs. Dean has an ERA against righties of 4.79 with a wOBA of 0.388. His ERA on the road is 4.87 and his wOBA is 0.369. Encarnacion at home is money. His ISO is 0.313 and has a wOBA of 0.408. Encarnacion hits lefties very hard. His ISO is 0.297 and has a wOBA of 0.388. After a 3 hit performance yesterday, David Ortiz - 1B BOS Fanduel: 4300 Draftkings: 5200 - Ortiz will be pitted against Ian Kennedy at Fenway Park (Boston, Massachusetts) which ranks number 5 in runs scored. This game is showing a high Over under of 9.5,Kennedy has an ERA against lefties of 4.06 with a wOBA of 0.311. His ERA on the road is 3.96 and his wOBA is 0.319. Through the last seven days, Ortiz has scored 16.1 Fanduel fantasy points while his season average is 13.2. He has a batting average of 0.440 and a slugging percentage of 0.880 over that time. He also has hit 3 homeruns. Ortiz at home is incredible. His ISO is 0.365 and has a wOBA of 0.473. Ortiz hits righties extremely hard. His ISO is 0.360 and has a wOBA of 0.445. Paul Goldschmidt - 1B ARI Fanduel: 4200 Draftkings: 5400 - Goldschmidt goes against Brandon Finnegan at Chase Field (Phoenix, Arizona) which ranks number 2 in runs scored and number 7 in home runs allowed. 10, so expect a lot of runs to be scored. Finnegan has an ERA against righties of 5.23 with a wOBA of 0.344. His ERA on the road is 4.59 and his wOBA is 0.345. Goldschmidt has scored 15.9 Fanduel fantasy points while his season average is 13.2. He has a batting average of 0.346 and a slugging percentage of 0.577 over that time. He also has hit 2 homeruns. Goldschmidt at home is incredible. His ISO is 0.257 and has a wOBA of 0.408. Goldschmidt hits lefties in a big way, with an ISO of 0.263 and has a wOBA of 0.459. Brandon Moss - 1B STL Fanduel: 3600 Draftkings: 5000 - Moss is going against Ross Detwiler at Busch Stadium (St. Louis, Missouri) which ranks number 4 in runs scored. Detwiler has an ERA against lefties of 1.50 with a wOBA of 0.257. In addition, he is really struggling on the road. His ERA on the road is 10.61 and his wOBA is 0.451. Moss has scored 14.7 Fanduel fantasy points while his season average is 10.8. He has a batting average of 0.273 and a slugging percentage of 0.682 over that time. He also has hit 3 homeruns. Moss at home0.304 and has a wOBA of 0.352. Moss hits lefties big time, to the tune of an ISO of 0.182 and has a wOBA of 0.325. He should be in for a great game as long as he is starting. Brandon Phillips - 2B CIN Fanduel: 2900 Draftkings: 3500 - Phillips will be pitted against Braden Shipley at Chase Field (Phoenix, Arizona) which ranks number 2 in runs scored and number 7 in home runs allowed. This could be a shoot out with an over under of 10, so I think you should expect a lot of fantasy points being scored. Shipley has an ERA against righties of 7.11 with a wOBA of 0.398. He's playing poorly big time at home. His ERA at home is 6.55 and his wOBA is 0.431. If you see him starting, try to roster him. Jean Segura - 2B ARI Fanduel: 3700 Draftkings: 4600 - Segura will face Brandon Finnegan at Chase Field (Phoenix, Arizona) which ranks number 2 in runs scored and number 7 in home runs allowed. 10, so I think you should expect a lot of fantasy points being scored. Finnegan has an ERA against righties of 5.23 with a wOBA of 0.344. His ERA on the road is 4.59 and his wOBA is 0.345. Over the last 7 days Segura has scored 16.9 Fanduel fantasy points while his season average is 12. He has a batting average of 0.407 and a slugging percentage of 0.593 over that time. Segura at home0.172 and has a wOBA of 0.367. Segura hits lefties in a big way, with an ISO of 0.150 and has a wOBA of 0.342. Matt Carpenter - 2B STL Fanduel: 3800 Draftkings: 4000 - Carpenter is taking on Ross Detwiler at Busch Stadium (St. Louis, Missouri) which ranks number 4 in runs scored. Detwiler has an ERA against lefties of 1.50 with a wOBA of 0.257. Also he has not done well on the road. His ERA on the road is 10.61 and his wOBA is 0.451. Carpenter at home0.188 and has a wOBA of 0.383. Carpenter hits lefties in a big way, with an ISO of 0.164 and has a wOBA of 0.362. You need to get him in your lineups today. Jose Altuve - 2B HOU Fanduel: 3800 Draftkings: 4400 - Altuve will face Drew Smyly at Minute Maid Park (Houston, Texas). Smyly has an ERA against righties of 4.40 with a wOBA of 0.322. Also he isn't getting it done on the road. His ERA on the road is 5.58 and his wOBA is 0.363. Through the last seven days, Altuve has scored 14.4 Fanduel fantasy points while his season average is 14. He has a batting average of 0.320 and a slugging percentage of 0.560 over that time. Altuve at home crushes it. He has an ISO of 0.207 and has a wOBA of 0.369. Altuve hits lefties very hard. His ISO is 0.238 and has a wOBA of 0.459. He has a nice matchup today. Jose Reyes - 3B NYM Fanduel: 3000 Draftkings: 4000 - Reyes will be seeing Adam Morgan at Citi Field (New York, New York). Morgan has an ERA against switch hitters of 7.02 with a wOBA of 0.396. Also he has not done well on the road. His ERA on the road is 6.4 and his wOBA is 0.385. Throughout the last 7 days Reyes has scored 12.3 Fanduel fantasy points while his season average is 11.6. He has a batting average of 0.375 and a slugging percentage of 0.458 over that time. Reyes at home is great! His ISO is 0.297 and has a wOBA of 0.33. Reyes hits lefties extremely hard. His ISO is 0.263 and has a wOBA of 0.432. Jedd Gyorko - 3B STL Fanduel: 2900 Draftkings: 4300 - Gyorko is facing Ross Detwiler at Busch Stadium (St. Louis, Missouri) which ranks number 4 in runs scored. Detwiler has an ERA against righties of 7.63 with a wOBA of 0.395. Also he has not done well on the road. His ERA on the road is 10.61 and his wOBA is 0.451. During the last week of games, Gyorko has scored 16.2 Fanduel fantasy points while his season average is 8.4. He has a batting average of 0.296 and a slugging percentage of 0.667 over that time. He also has hit 3 homeruns. Gyorko at home is awesome and his ISO is 0.213 and has a wOBA of 0.342. He can be in for a very nice game today. Josh Donaldson - 3B TOR Fanduel: 4200 Draftkings: 5000 - Donaldson will go against Pat Dean at Rogers Centre (Toronto, Ontario) which ranks number 9 in runs scored and number 3 in home runs allowed. This could be a shoot out with an over under of 10, so expect a lot of runs to be scored. Dean has an ERA against righties of 4.79 with a wOBA of 0.388. His ERA on the road is 4.87 and his wOBA is 0.369. Donaldson at home is money. His ISO is 0.263 and has a wOBA of 0.403. Donaldson hits lefties in a big way, with an ISO of 0.234 and has a wOBA of 0.419. Signs are pointing up for him today. Coming off a 3 hit performance yesterday, Eugenio Suarez - 3B CIN Fanduel: 3200 Draftkings: 3600 - Suarez goes against Braden Shipley at Chase Field (Phoenix, Arizona) which ranks number 2 in runs scored and number 7 in home runs allowed. The over under on this game is huge, at 10, so expect a lot of runs to be scored. Shipley has an ERA against righties of 7.11 with a wOBA of 0.398. at home. His ERA at home is 6.55 and his wOBA is 0.431. Jake Lamb - 3B ARI Fanduel: 3600 Draftkings: 3900 - Lamb squares off verse Brandon Finnegan at Chase Field (Phoenix, Arizona) which ranks number 2 in runs scored and number 7 in home runs allowed. There's a high over under on this game, 10, so expect a lot of runs to be scored. Finnegan has an ERA against lefties of 1.54 with a wOBA of 0.286. His ERA on the road is 4.59 and his wOBA is 0.345. Lamb at home0.357 and has a wOBA of 0.41. He has a great matchup today. Troy Tulowitzki - SS TOR Fanduel: 3000 Draftkings: 3700 - Tulowitzki is going against Pat Dean at Rogers Centre (Toronto, Ontario) which ranks number 9 in runs scored and number 3 in home runs allowed. This game is showing a high Over under of 10, so get ready for a lot of runs. Dean has an ERA against righties of 4.79 with a wOBA of 0.388. His ERA on the road is 4.87 and his wOBA is 0.369. Tulowitzki at home is awesome and his ISO is 0.192 and has a wOBA of 0.318. Tulowitzki hits lefties very hard. His ISO is 0.193 and has a wOBA of 0.34. This guy should crush it today if he is starting. Coming off a 3 hit game yesterday, Jhonny Peralta - SS STL Fanduel: 3100 Draftkings: 3800 - Peralta will battle Ross Detwiler at Busch Stadium (St. Louis, Missouri) which ranks number 4 in runs scored. Detwiler has an ERA against righties of 7.63 with a wOBA of 0.395. In addition, he is really struggling on the road. His ERA on the road is 10.61 and his wOBA is 0.451. During the past week Peralta has scored 10.8 Fanduel fantasy points while his season average is 8.3. He has a batting average of 0.357 and a slugging percentage of 0.500 over that time. Peralta at home0.190 and has a wOBA of 0.316. Chris Owings - SS ARI Fanduel: 2800 Draftkings: 4000 - Owings will be pitted against Brandon Finnegan at Chase Field (Phoenix, Arizona) which ranks number 2 in runs scored and number 7 in home runs allowed. This game is showing a high Over under of 10, so expect a lot of runs to be scored. Finnegan has an ERA against righties of 5.23 with a wOBA of 0.344. His ERA on the road is 4.59 and his wOBA is 0.345. Owings hits lefties very hard. His ISO is 0.222 and has a wOBA of 0.364. J.J. Hardy - SS BAL Fanduel: 2200 Draftkings: 3100 - Hardy will battle Luis Cessa at Yankee Stadium (New York, New York). There over under on this game is pretty big at 9.5,Cessa has an ERA against righties of 4.40 with a wOBA of 0.323. He really isn't doing well at home. His ERA at home is 7.27 and his wOBA is 0.352. Hardy on the road is money. His ISO is 0.154 and has a wOBA of 0.318. If you see him starting, try to roster him. Asdrubal Cabrera - SS NYM Fanduel: 2800 Draftkings: 3400 - Cabrera will be seeing Adam Morgan at Citi Field (New York, New York). Morgan has an ERA against switch hitters of 7.02 with a wOBA of 0.396. Also he has been playing poorly on the road. His ERA on the road is 6.4 and his wOBA is 0.385. Through the last seven days, Cabrera has scored 10.9 Fanduel fantasy points while his season average is 8.1. He has a batting average of 0.375 and a slugging percentage of 0.542 over that time. Cabrera hits lefties in a big way, with an ISO of 0.121 and has a wOBA of 0.349. Sandy Leon - C BOS Fanduel: 2700 Draftkings: 3400 - Leon will be taking on Ian Kennedy at Fenway Park (Boston, Massachusetts) which ranks number 5 in runs scored. 9.5,Kennedy has an ERA against switch hitters of 4.06 with a wOBA of 0.311. His ERA on the road is 3.96 and his wOBA is 0.319. Leon at home is incredible. His ISO is 0.241 and has a wOBA of 0.459. Leon hits righties very hard. His ISO is 0.215 and has a wOBA of 0.396. Tucker Barnhart - C CIN Fanduel: 2500 Draftkings: 3400 - Barnhartwill go against Braden Shipley at Chase Field (Phoenix, Arizona) which ranks number 2 in runs scored and number 7 in home runs allowed. This could be a shoot out with an over under of 10, so expect a high scoring game. Shipley has an ERA against switch hitters of 4.50 with a wOBA of 0.362. He's playing poorly big time at home. His ERA at home is 6.55 and his wOBA is 0.431. Barnhart hits righties extremely hard. His ISO is 0.147 and has a wOBA of 0.33. Travis d'Arnaud - C NYM Fanduel: 2100 Draftkings: 3200 - d'Arnaud squares off verse Adam Morgan at Citi Field (New York, New York). Morgan has an ERA against righties of 7.02 with a wOBA of 0.396. on the road. His ERA on the road is 6.4 and his wOBA is 0.385. Russell Martin - C TOR Fanduel: 3400 Draftkings: 4800 - Martin will be battling Pat Dean at Rogers Centre (Toronto, Ontario) which ranks number 9 in runs scored and number 3 in home runs allowed. There over under on this game is pretty big at 10, so I think you should expect a lot of fantasy points being scored. Dean has an ERA against righties of 4.79 with a wOBA of 0.388. His ERA on the road is 4.87 and his wOBA is 0.369. During the past week Martin has scored 13.6 Fanduel fantasy points while his season average is 8.9. He has a batting average of 0.333 and a slugging percentage of 0.625 over that time. He also has hit 2 homeruns. Martin at home crushes it. He has an ISO of 0.164 and has a wOBA of 0.36. Evan Gattis - C HOU Fanduel: 3000 Draftkings: 4100 - Gattis squares off verse Drew Smyly at Minute Maid Park (Houston, Texas). Smyly has an ERA against righties of 4.40 with a wOBA of 0.322. Also he isn't getting it done on the road. His ERA on the road is 5.58 and his wOBA is 0.363. During the past week Gattis has scored 16.7 Fanduel fantasy points while his season average is 9.2. He has a batting average of 0.375 and a slugging percentage of 0.813 over that time. He also has hit 2 homeruns. Gattis hits lefties in a big way, with an ISO of 0.286 and has a wOBA of 0.364. Adam Duvall - OF CIN Fanduel: 3100 Draftkings: 4900 - Duvallwill go against Braden Shipley at Chase Field (Phoenix, Arizona) which ranks number 2 in runs scored and number 7 in home runs allowed. 10, so expect a lot of runs to happen! Shipley has an ERA against righties of 7.11 with a wOBA of 0.398. In addition he really has been pretty weak at home. His ERA at home is 6.55 and his wOBA is 0.431. Duvall has scored 15.8 Fanduel fantasy points while his season average is 11.2. He has a batting average of 0.235 and a slugging percentage of 0.588 over that time. Duvall on the road is great! His ISO is 0.269 and has a wOBA of 0.339. Duvall hits righties big time, to the tune of an ISO of 0.287 and has a wOBA of 0.343. He has a nice matchup today. Stephen Piscotty - OF STL Fanduel: 3600 Draftkings: 5300 - Piscotty is going against Ross Detwiler at Busch Stadium (St. Louis, Missouri) which ranks number 4 in runs scored. Detwiler has an ERA against righties of 7.63 with a wOBA of 0.395. In addition he really has been pretty weak on the road. His ERA on the road is 10.61 and his wOBA is 0.451. Over the last week Piscotty has scored 17.6 Fanduel fantasy points while his season average is 11.3. He has a batting average of 0.360 and a slugging percentage of 0.760 over that time. He also has hit 3 homeruns. Piscotty at home crushes it. He has an ISO of 0.219 and has a wOBA of 0.374. Piscotty hits lefties big time, to the tune of an ISO of 0.290 and has a wOBA of 0.427. Really try to get him into your lineups. Randal Grichuk - OF STL Fanduel: 3300 Draftkings: 4300 - Grichuk will be seeing Ross Detwiler at Busch Stadium (St. Louis, Missouri) which ranks number 4 in runs scored. Detwiler has an ERA against righties of 7.63 with a wOBA of 0.395. Additionally, he isn't doing well on the road. His ERA on the road is 10.61 and his wOBA is 0.451. Over the last week Grichuk has scored 15 Fanduel fantasy points while his season average is 8.9. He has a batting average of 0.348 and a slugging percentage of 0.870 over that time. He also has hit 3 homeruns. Grichuk at home0.271 and has a wOBA of 0.372. Grichuk hits lefties very hard. His ISO is 0.213 and has a wOBA of 0.316. This guy should crush it today if he is starting. Billy Hamilton - OF CIN Fanduel: 3000 Draftkings: 4500 - Hamilton will battle Braden Shipley at Chase Field (Phoenix, Arizona) which ranks number 2 in runs scored and number 7 in home runs allowed. 10, so I think you should expect a lot of fantasy points being scored. Shipley has an ERA against switch hitters of 4.50 with a wOBA of 0.362. In addition, he is really struggling at home. His ERA at home is 6.55 and his wOBA is 0.431. Kevin Pillar - OF TOR Fanduel: 2700 Draftkings: 3500 - Pillar will face Pat Dean at Rogers Centre (Toronto, Ontario) which ranks number 9 in runs scored and number 3 in home runs allowed. 10, so expect a high scoring game. Dean has an ERA against righties of 4.79 with a wOBA of 0.388. His ERA on the road is 4.87 and his wOBA is 0.369. Pillar at home0.145 and has a wOBA of 0.339. Pillar hits lefties very hard. His ISO is 0.139 and has a wOBA of 0.327. Michael Saunders - OF TOR Fanduel: 3400 Draftkings: 3900 - Saunders faces Pat Dean at Rogers Centre (Toronto, Ontario) which ranks number 9 in runs scored and number 3 in home runs allowed. 10, so I think you should expect a lot of fantasy points being scored. Dean has an ERA against lefties of 7.84 with a wOBA of 0.278. His ERA on the road is 4.87 and his wOBA is 0.369. Saunders at home is awesome and his ISO is 0.244 and has a wOBA of 0.383. Saunders hits lefties extremely hard. His ISO is 0.317 and has a wOBA of 0.403. Jay Bruce - OF NYM Fanduel: 3600 Draftkings: 3600 - Bruce will go against Adam Morgan at Citi Field (New York, New York). Morgan has an ERA against lefties of 3.57 with a wOBA of 0.347. Also he has not done well on the road. His ERA on the road is 6.4 and his wOBA is 0.385. Bruce at home0.250 and has a wOBA of 0.33.